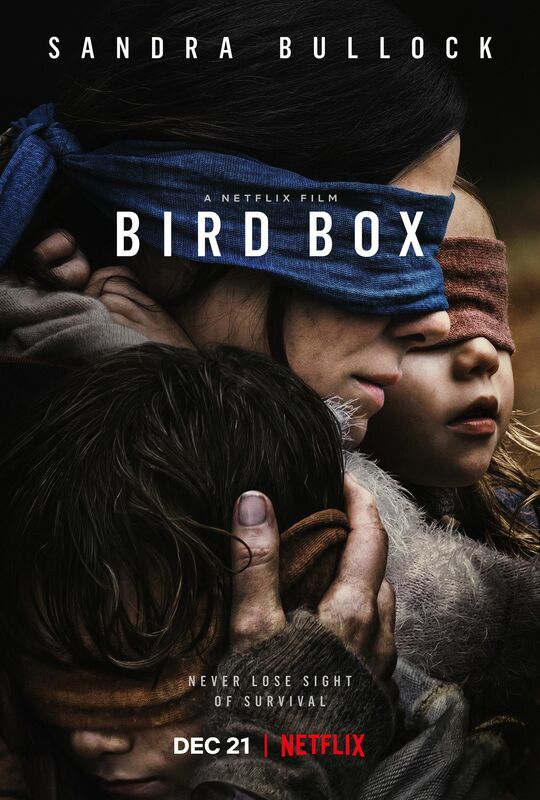 If the numbers are correct (and we have no way of knowing that they are, so we’ll have to take their word for it, I guess), Netflix’s newly released horror-thriller Bird Box is their most-watched flick ever in the first week, to the tune of 45+ million accounts. Now we’re not sure how their metrics work, of course. If we accidentally click on the “Play Now” button that pops up along with the film’s auto-play trailer when we try to log in to our queue, does that count as a view? That would be less like buying a ticket to a movie you never watched and more like accidentally walking into the wrong theater, but I digress. Surely, if 45 millionz of my fellow citizens of the world have already watched it, I should check it out, too, right? Seems legit. What will be more interesting to see is how many people check it out over this coming weekend versus how many impressions the above tweet gets. Recently, Netflix has been more about pushing titles once they’ve got some buzz about them–acting as a sort of positive feedback loop–rather than taking a chance on unproven properties. (See: The Christmas Chronicles and their 20 million first-week viewers.) And they have a lot of untested titles … like, a lot. So this plan of attack is pretty savvy. As viewers’ attention spans get shorter, the glut of streaming content gets easier to consume, and staying in becomes trendier than going out, expect more marketing like this in the near future, especially if Reed Hastings and Ted Sarandos want their annual pay to keep going up.